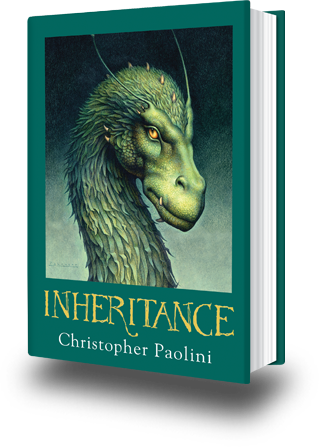 Inheritance is the final book in Christopher Paolini’s four-book Inheritance Cycle which features Eragon, the dragon-rider, with Saphira his dragon, who lead the Varden alliance of humans with the Elves, Dwarves, Urgals and Werecats to victory against Galbatorix, the man who tried to destroy the dragon-riders and who usurped power in Alagaesia. This final novel is comforting to readers who have followed the adventures of Eragon. It is not an entirely happy ending, but most of the loose ends have been tied together by the end. The book itself is overlong and I’m not sure that I would have read it all if I hadn’t already been hooked by the series and wanted to find out how it all was going to end. To emerge victorious against Galbatorix, Eragon and Saphira need to learn their true names in the ancient language, the meaning of which describes their true nature, including both their strengths and their weaknesses. This true name is the password required to enter the Vault of Souls where they find the eldunari or « heart of hearts » of many of the slain dragons. It is the knowledge and the power of these eldunari that provide Eragon with the keys to victory. This quest for self-knowledge is the essential challenge for Eragon in Inheritance and, in learning about himself, he discovers what he needs to defeat Galbatorix. 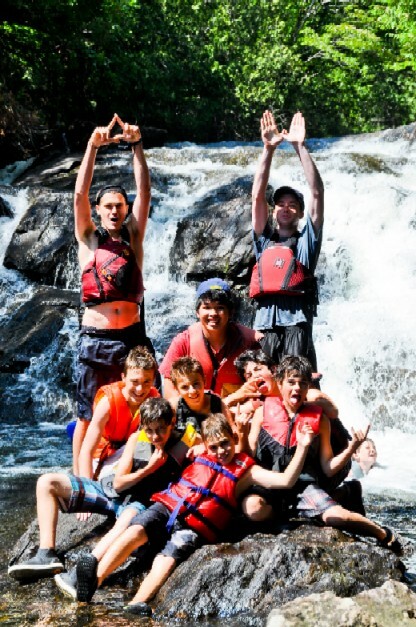 Challenges that force campers to learn about themselves and grow, is what Camp Nominingue is all about! 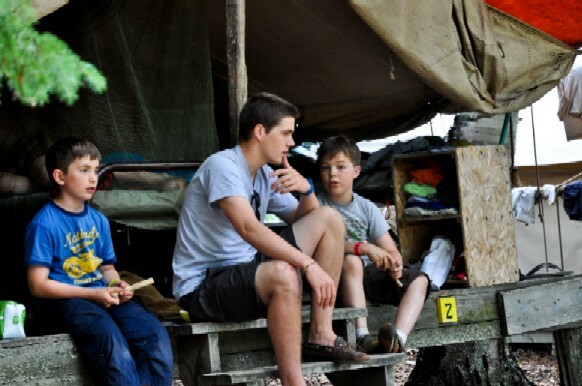 One of the first challenges that all campers face is learning to live in a group. At Nominingue, all campers live in a tent, in groups of 5-6 campers from age seven to thirteen and in smaller groups of 2-3 at fourteen and fifteen. They learn about conflict resolution, problem solving and cooperation, and how to make friends. Each new day brings new challenges. 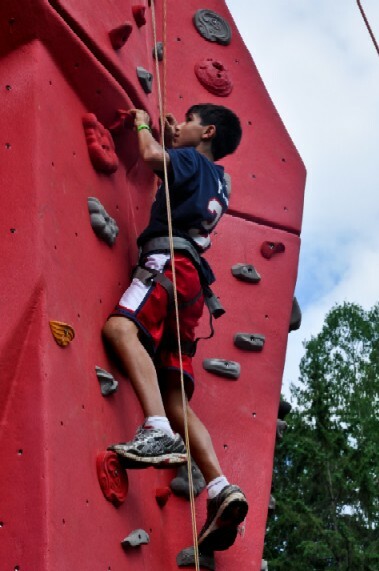 All campers participate in an instructional program where they work to achieve certain levels of competence in outdoor, skill-based activities like climbing, mountain biking, archery, campcraft, orienteering, sailing and kayaking. Each day, campers are asked to make decisions as to how they will use the free-swim time, whether to swim, to paddle, to play tennis or to play a quiet game with a friend. There are other opportunities for challenge throughout the session: putting on a performance during entertainment night; carving a whale out of a piece of wood; playing a song on the guitar; running a triathlon; participating in a canoe race…the opportunities are too numerous to mention. Perhaps the greatest challenge, and certainly one that has existed since Camp Nominingue was founded, is the canoe trip. The length and the location of each trip are planned according to the age, strength and skill of each group of campers. On the canoe trip, campers learn about endurance – paddling across a lake against the wind at the end of the day, when the only thing they want to do is fall asleep. Campers learn how to navigate and how to locate themselves on a map. Campers learn how to get along, when differences arise between members of the team. The result of all these opportunities for challenge is the potential for incredible personal growth – in confidence, in independence and in a sense of responsibility.